Here’s a rather curious protest: South China Morning Post reports that a professor applying for a UK visa is up in arms about the embassy’s request to review his hukou (household registration). 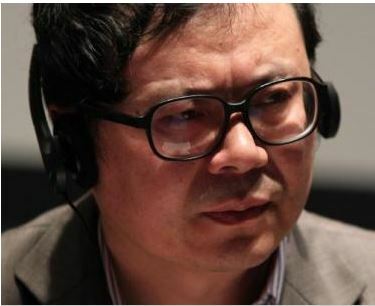 “I demand that the British government stop requiring Chinese applicants to provide a hukou document, which is a discriminatory system created under the planned economic era of the last century and conflicts with today’s common international values,” Yu Jianrong of the Chinese Academy of Social Sciences wrote in an open letter to the British government. Yu said he was “humiliated” by the embassy’s request. Apparently a meeting has been scheduled between the professor and British ambassador Sebastian Wood for Tuesday. The hukou system, originally established in the 1950s, served Maoist goals of population control and state economic planning. It locked Chinese citizens to a particular place of residence. It classified them as urban or rural, agricultural or nonagricultural. And it granted preferential treatment–on food rations, housing and education–to urban industrial workers. Some of those forms of discrimination have been eroded, but residency status remains tightly linked to a range of rights and privileges, particularly urban social benefits. Most rural migrants to Chinese cities are unable to obtain equal public services such as healthcare and schooling for their children. And residency status is hereditary, so migrants’ children born in cities like Beijing or Shanghai remain an excluded urban underclass. For U.S. visa applicants, the embassy does sometimes ask to see an applicant’s hukou. It contains information such as a person’s birthplace, family members, marital status, education level, and history of military service. But according to the U.S. State Department, hukous “may be of limited value” as evidence because they appear to be “extremely susceptible to fraud and manipulation,” especially if the holder lives outside a major metropolitan area. The explicit target of the professor’s protest is the British embassy, but it’s plain to see that the real target is PRC government policy. It turns out that Yu is a savvy activist, and the misdirection may just be a thin veneer to keep his protest within the realm of what is acceptable to the Party. “I’ll never provide my hukou…. It’s my principle,” said Yu. Luckily, most Chinese can now apply for passports by just presenting their national ID cards to the public security bureau, even though under China’s passport law, article 6, a hukou can be required.